Advisor to Lifetree in raising growth funding from the International Finance Corporation. Lifetree Convergence Ltd., a leading provider of advanced Billing and Business Support Software solutions to telecommunication carriers, has raised growth funding from International Finance Corporation (IFC). The capital would further the growth of the company through inorganic initiatives. Avendus Capital was the exclusive financial advisor to Lifetree for the transaction. Lifetree provides telecom carriers with end-to-end Billing, Business Support Systems and Customer Relationship Management with functionalities across wireline, wireless & IP, pre-paid & post-paid customers and voice, data & content services. The company has a deep focus on emerging markets. 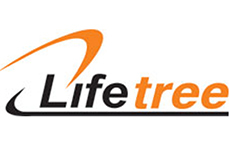 Having completed over 40 installations in the Asia Pacific, Middle East and Africa region, Lifetree is poised to leverage its capability in the developed markets. The capital invested by IFC would be utilized to fund the growth of the company through acquisitions and other inorganic initiatives. The transaction was consummated in August 2008. The OSS / BSS space is a $29Bn opportunity and is expected to grow at 8% y-o-y, with the convergent solutions expecting to grow by 30% p.a. Emerging markets are expected to contribute over 50% of the projected growth in this domain.